After nearly 30 years as a reporter, editor and marketing copywriter, I naively assumed writing a book would be a simple task. That assumption couldn’t have been more off the mark. What I discovered is that book writing and publishing—much like homeschooling—is a great deal harder than it looks. While writing Don’t Waste Your Time Homeschooling: 72 Things I Wish I’d Known, the homeschool mom in me couldn’t help but spot these ABCs of publishing success. A is for accountability. As a journalist, I have assignments and deadlines handed to me. As an author, it was tough getting started. One day a friend mentioned she’d like to write a book. We agreed to become each other’s taskmaster and cheerleader. Over a series of months we met, calendars and red pens in hand, sharing publishing how-to’s and giving honest feedback about the results we saw in each other’s work. We spoke deadlines and goals out loud and wrote them down. Knowing someone else was keeping track of my work kept the forward motion going. B is for beginning. Every clichéd proverb about taking the first step is true. If I had waited until the idea for the book ripened to perfection in my head, I would still be waiting. The initial content of the book didn’t even resemble the final result. It began as a list of happy things to do to make your homeschool day more fun. But once I started writing, re-writing, deleting, editing, and getting others’ opinions, the focus became sharper. Not every day is a happy day. There are things I’ve learned over 25 years about how to deal with every aspect of running a homeschool household, including sickness, financial problems, and nosey neighbors. Those insights are just as important—if not more so—than the organizational tips and field trip ideas I’ve garnered. C is for completion. “The book will never be perfect,” my wise accountability partner warned. The editor voice in me argued with her for a minute, but we both knew she was right. The biggest struggle was the title. 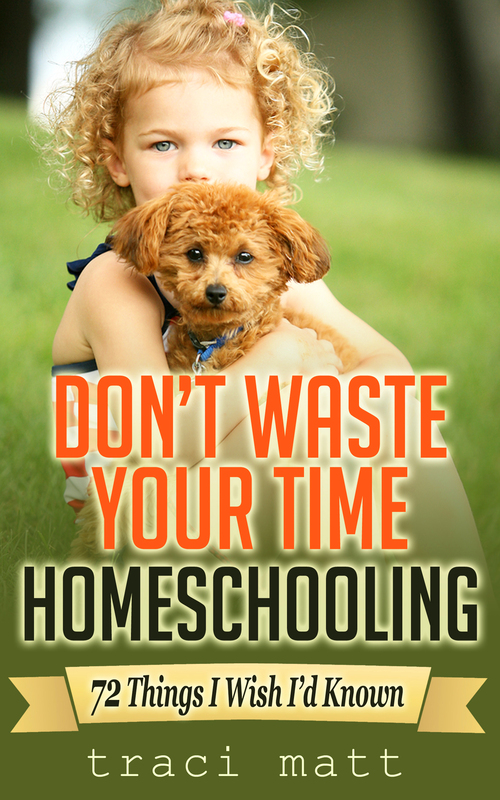 My marketing experience warned that a flowery title about homeschooling would get lost in the shuffle. I also knew that the ambiguous nature of “don’t waste your time” would cause consternation. My conclusion was that any publicity is good publicity. However, at a certain point I had to commit to a title, get the cover art done, and upload the thing. And even though as a reporter I’ve seen my name in print hundreds of times, the adrenaline rush from hitting that “publish” button on my first book kept me awake for days. I think it’s a really good idea to have a writing accountability partner.